Looking to make some upgrades to your home? Consider your projects carefully so that you choose ones that will make the most of your time and money down the line. Selling your home can be stressful as well as exciting. You want your home to sell quickly and for the maximum amount the market will bear. The best way achieve this is to make sure your home is clean and updated, and to select DIY projects that will build equity and not take away from what you already have invested in your home. If you are considering a home renovation project, it might not be realistic to take on your entire home, but even just a few upgrades can lead to a much higher selling price for your property. In a competitive market, standing out from the other homes in your neighborhood is paramount. Below are three important projects to focus on before selling your home that are guaranteed to add that added dose of special sauce buyers are looking for. To many, the kitchen is the most important part of the home – this idea is echoed in an old saying: people talk business in the living room, but friends hang out in the kitchen. The kitchen is where families spend time together preparing meals and talking about the day. It is where friends laugh over a glass of wine and platters of cheese and crackers. It is the nucleus of every house, and it is what a majority of buyers admit is one of their make or break items when comparing multiple listings. Buyers like to see clean and new appliances. If your budget allows, consider getting stainless steel appliances, ideally in a fingerprint-free finish. If there is no money freed up for this kind of an upgrade, a good, thorough washing can do wonders, and don’t forget to tidy the magnets and photos on your refrigerator while you’re at it. 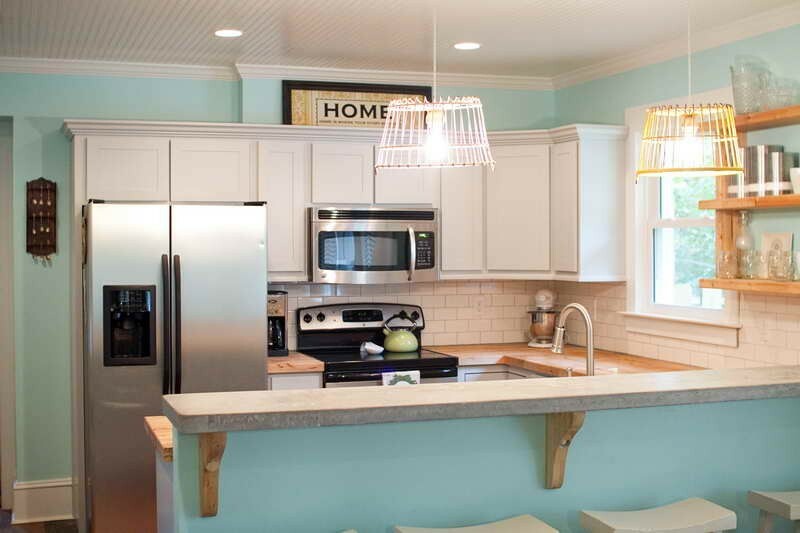 Next, consider replacing worn or outdated countertops. Granite or butcher block are always in demand, but any high-quality, durable countertop in a neutral tone would be a great addition to your kitchen. Be sure to take into consideration what is appropriate for your property’s listing price when starting to update your kitchen or any area of your home, for that matter. For example, putting marble floors and granite counter tops in a lower priced property would be a bad investment as the chances of recouping that money in equity down the road might not be as great as you had envisioned. It’s wise to consult with your realtor before diving into home improvement projects so you can get a comparative market analysis. This will give you an idea of what your home will sell for, allowing you to budget appropriately for your renovation projects. Many homebuyers are intimidated about taking on large renovation projects, preferring instead to get into a home that is “move in ready.” This is especially true of first time homebuyers, as they may not have the initial budget to put up a down payment and then dive headfirst into upgrading or renovating their new home. By presenting potential buyers with a kitchen that is updated and clean, you make it that much easier for them to fall in love with your house and sign on the dotted line. Tip: Burn a softly scented candle in the kitchen to diffuse any lingering cooking odors if your realtor calls with a last minute showing. Giving your home a fresh coat of paint is an easy and cost effective project that will give buyers a great first impression. Many people choose to do this project themselves to save money – even hiring professionals to do the job for you can be a great value if they can get the work done quickly and with great quality. Color selection is key to a successful paint job; your kids might love the neon green paint in their rooms, but strong colors can definitely turn buyers off. Paint the doors and moldings a slightly lighter color then the walls. “It’s a subtle shift in color but it really brings your eye to the detail.” Says Sheri Thompson, director of color marketing and design for Sherwin-Williams. Years of wear and tear can leave your walls with scratches and scuff marks. So even if painting isn’t in the cards for you, taking the time to wash your walls will brighten up your existing paint in no time. 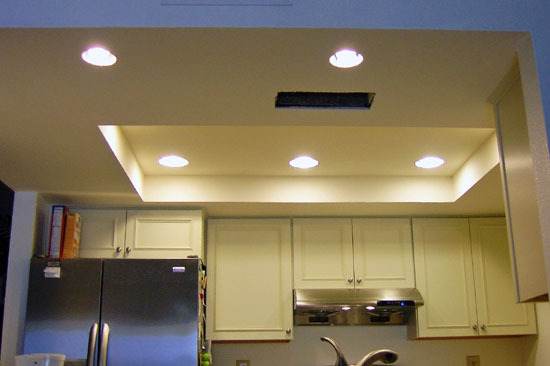 Tip: Pay special attention to the interior lighting of your home. Darkly painted rooms can feel depressing and uncomfortable, but a carefully placed lamp can make all the difference. A beautifully lit living room is accomplished through variety: variety in height, locations, and even bulb color. Use light to feature something you love, like a favorite painting, a statue, or a wall with a decorative finish. The cheapest, quickest solution for upgrading your home lighting: swapping out your switch plates to a fun metal finish or even a bold color to compliment your wall paint. Doing all of these fantastic interior home improvement projects is wasted time if potential buyers never make it past your front door. When potential buyers drive up to your property they should see a clean and neat exterior at the very least, and – if possible – it is wise to invest in landscape features even if that just means a beautiful birdbath or window boxes filled with freshly planted flowers. It should also go without saying that your lawn should be mowed and any fallen leaves are removed. Also be sure to pick up trash or debris that can easily collect near fence lines or under trees. As an added touch, add a bright exterior light so that potential buyers can see clearly if they drive by your home after dark. Tip: Have your home professionally pressure washed or rent your own machine if you are feeling ambitious. These three simple home projects will definitely make your property stand out without costing you an arm and a leg in the process.